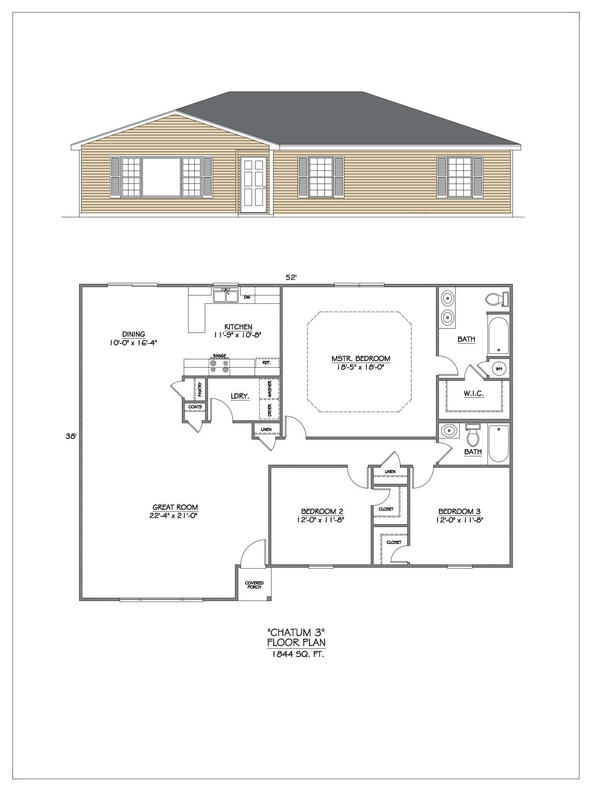 The Chatum 3 floor plan will have 5 bedrooms 3 bathrooms 2 car garage with 1844 square feet with 800 additional square feet finished in the basement. All bedrooms on the main floor will have walk-in closets. This home will be built on almost 7 acres just south of Hollister.